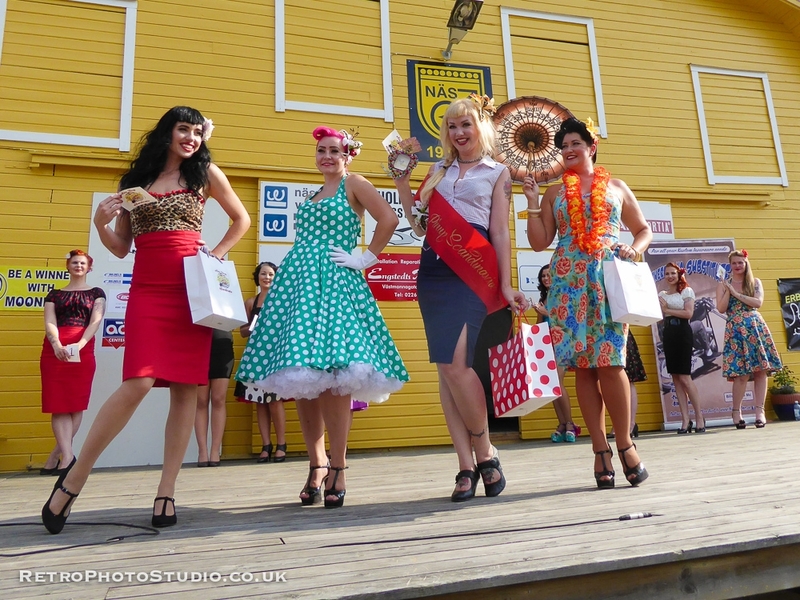 The second Miss Pinup Scandinavia contest is closing in, and I will be there this year too! Not a finalist though :-p I’ll be cheering for the only girl from Norway, Betty HellKat. Last year I was the only one, too, and that made me so nervous! I felt kinda alone among the other girls, many of them knew each other already. And since it was my first contest ever I really wished that there had been someone else there from Norway just for the team spirit-thing. Don’t get me wrong, all the girls were kind and absolute sweethearts (especially the girls from Finland who let me sleep in their bedroom), but you know, one still miss a person as a partner in crime. I guess I will be passing on the title as the «Peoples choice» to this year’s winner and I’m excited! The winner of the Miss Pinup Scandinavia-title from last year, Kandi Von Kane (she also won Miss Pinup International two months later! ), will be there as a judge along with Sini Tarkkinen (talk about bombshells!). It would be fun if any of other from last year showed up too, but its a long travel for most of us. I’m just really excited to see Kandi, Sini and MirAnna again! And I won’t be as nervous as last year, because I’m not the one who has to perform on stage. Yay! Just relax and watch the show. From left to right: 3rd place May Pearl from Denmark, «Peoples choice» aka me from Norway, winner of Miss Pinup Scandinavia Kandi Von Kane from Sweden and 2nd place Midnight Maitresse from Sweden. So, good luck to all competing girls! I’m really excited to see you all dolled up on stage!